Hollywood sends in the "Clones"
The fans' anticipation has been so thick you can cut it with a light saber. Lines swelled outside movie theaters for the first screenings of "Star Wars: Episode II - Attack of the Clones," which debuted at midnight showings across the United States early Thursday. "Clones" is the fifth film in the sci-fi series and the second follow-up to the original "Star Wars" trilogy. 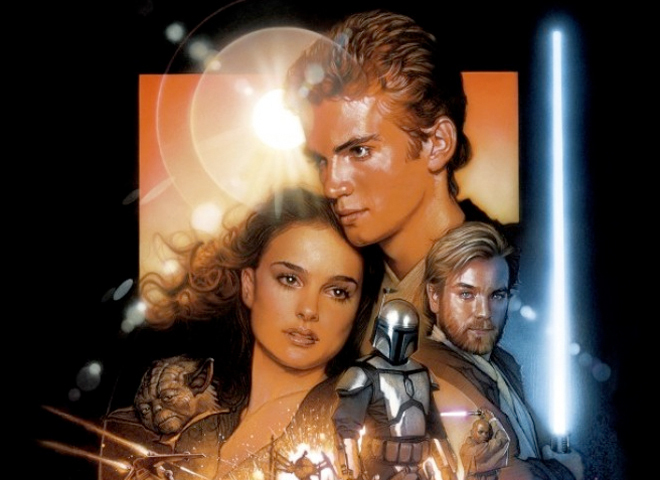 The first prequel, "The Phantom Menace," came out in 1999. Ahead of summer - the movie industry's busiest season - "Clones" was picked to top the box office charts, but the record-breaking "Spider-Man" debut put that forecast in jeopardy. "Clones" is being distributed more narrowly: "Spider-Man" debuted on about 7,500 screens while the "Star Wars" film will be on about 5,800 because creator George Lucas would exhibit it only in state-of-the-art theaters. "I want it to be in high-quality theaters. I want to have digital sound. I want it to be a good presentation to the audience," Lucas said. "I don't have to break records. It doesn't make any difference to me." It also remains to be seen whether decidedly unenthusiastic early reviews for "Clones" will cut into box office sales. The $115 million three-day opening weekend for "Spider-Man" took most of Hollywood by surprise -- except for Lucas, who said he knew "Spider-Man" would be a hit. But the legendary director said he was less concerned about breaking records than about fans enjoying his film. Outside Hollywood's historic Grauman's Chinese Theater, dozens joined a line that had started in early April. "It's hot and I need to take a shower, but other than that it's so much fun," Autumn Robertson, 19, said from a pay phone along the Chinese Theater line. Robertson said she had waited off-and-on in line for nearly 260 hours. She planned to change late Wednesday into her Jedi costume: a brown cloak, toy laser blaster and hand-crafted light-saber handle. In New York, some fans waited in shifts outside the historic Ziegfeld Theater since April 27. They're raising money for the Starlight Children's Foundation, which grants wishes for terminally ill children. When "Episode I - The Phantom Menace" came out in 1999, the fans raised $15,000. This time around, the goal is $45,000. Snuggling in tents and bundled in sleeping bags and blankets, they watched the original "Star Wars" early Wednesday morning on a TV and VCR. They go online via a DSL connection through the theater, and have their own address - 139 W. 54th St. - for deliveries. Why endure long days and cold nights on the sidewalk? "That's a good question. I'm still asking myself that," said Victor Merced, who helped organize the group. He said he's seen each film in the original trilogy 98 times and "The Phantom Menace" 13 times. "Do you count?" Tom Minter chimed in. "That's so geeky!" But Minter, 21, may be an even bigger geek - he flew in from Leeds, England, to see "Episode II" and planned to watch it 17 times over the next four days.
" 'Star Wars' played a huge part in my life growing up. I watched the films every day from age 3 to about age 6," said Minter, dressed in a parka and a fisherman's hat with the movie logo on it. "I cried the first time I saw the words 'Episode I - The Phantom Menace.' It's completely fresh." Many early reviews have criticized the film for clunky dialogue and stilted acting. The New York Times' A.O. Scott panned it as "a chance for gifted actors to be handsomely paid for delivering the worst line-readings of their careers." Chicago Sun-Times critic Roger Ebert ranked "Clones" as a two-star film whose characters talk so flatly "they seem more like lawyers than the heroes of a romantic fantasy." And The Associated Press' Christy Lemire said Lucas "still fails to recapture the fun and adventure that infused the original trilogy." But some fans who attended screenings gave it rave reviews, saying they enjoyed it much more than "The Phantom Menace." "I wish 'Episode II' was 'Episode I' and there were two more films coming," said Joshua Griffin, 27, a contributor to the TheForce.net "Star Wars" fan site. "I really, really liked it and think it makes fantastic strides in the story." Griffin saw "Episode II" twice at advance screenings but bought tickets to see it a third time at a midnight showing near his home in Kalamazoo, Michigan. © 2002 CBS Interactive Inc. All Rights Reserved.